July 17 2017 Michigan's Blue Collar Scholars President Trump's "Made in USA" "Made in America" Week at The White House Links (dig the American made Gibson Guitars in the background! President Trump is truly the "Rock and Roll President"! After all, he did keep playing the Rolling Stones and other great band's music at his rallies. Keep Rockin' and Rollin' the Swamp! We got you covered in Michigan, Mr. President. Made In America Product Showcase President Trump's "Made in America" product showcase event celebration at The White House. From official White House blog. Yessireee! Hip Hip Hoooray! 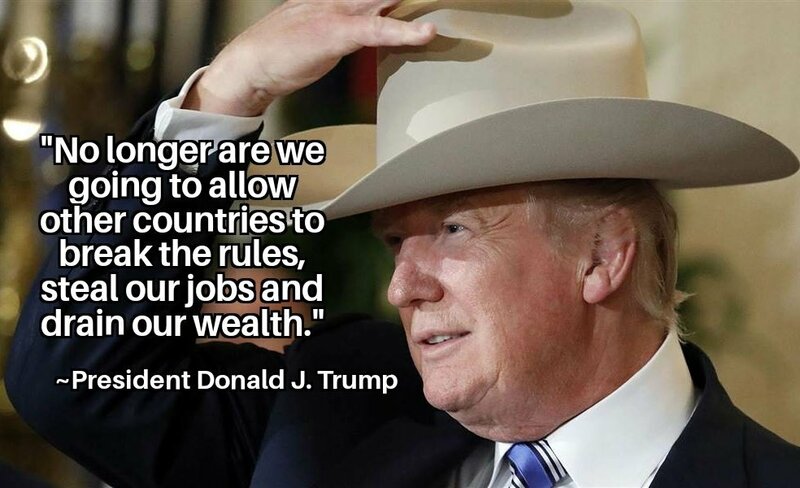 Right on, Blue-Collar Businessman President Trump! Promises Made-Promises Kept! Official White House Flickr Photos "Made in America" Event Celebration Photos Pics of President Trump's "Made In America" Celebration. President Trump Participates in a "Made in America" Product Showcase Official White House You Tube Channel. Rock n' Roll over Nafta and all the other "stupid trade" deals Mr. President. Get us a greatest deal for Michigan and the whole U.S.A! Checkout other great links while visiting the website. United States Trade Representative releases Nafta negotiating objectives. President Trump knocks it out of the ballpark! The White House "West Wing Reads" covers a broad array of journalistic topics.